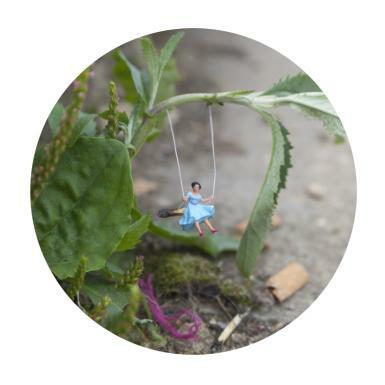 Miniaturesque, is a major new exhibition by Slinkachu which has been shot entirely in London. This new body of work draws upon our desire to seek out and recreate the natural world amongst the urban metropolis. His miniature people explore the hidden enclaves of the wild within our city - idyllic glades and green pastures appearing through cracks in the concrete - commenting on our modern society’s detachment from nature. Using tropes from art and popular culture, Slinkachu’s new works employ irony, humour and a healthy dose of reality; despite their fantastical situations, the miniature figures we observe are not so dissimilar to ourselves, living in the shadows between the real and artificial. Miniaturesque will feature seventeen new images on paper and aluminium as well as new sculptural pieces, one of which is Slinkachu’s biggest yet featuring over 200 miniature figures in a recreation of The River Thames.